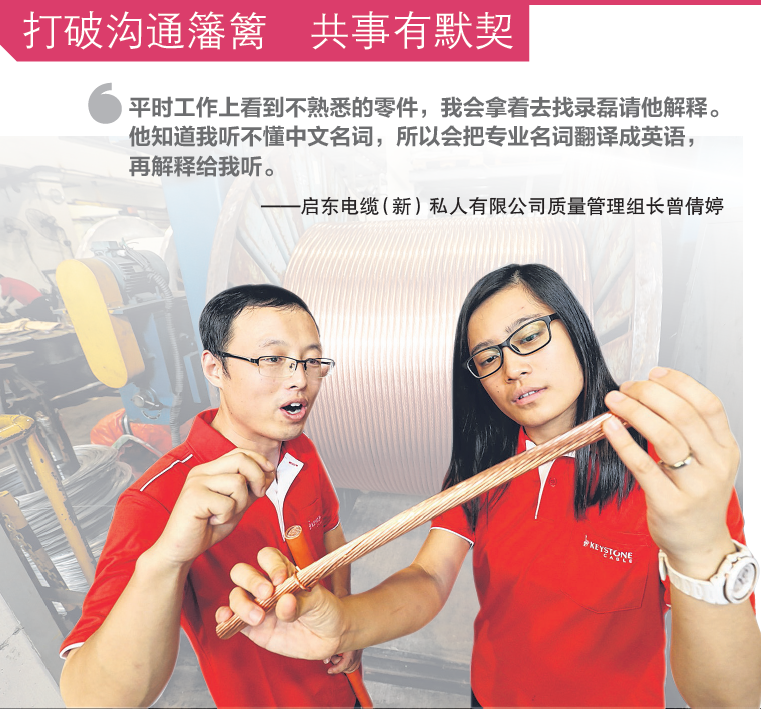 Keystone is focused on regional growth, nurturing staff and developing new products. 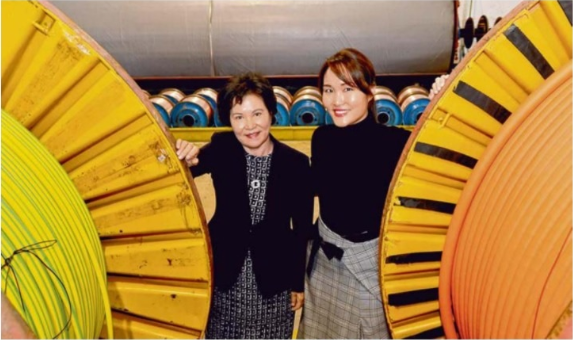 Keystone Cable is one of nine companies that has been featured on National TV, Channel 8, documentary series on “What Makes A Boss”. The video reflects the family-type culture we espouse. 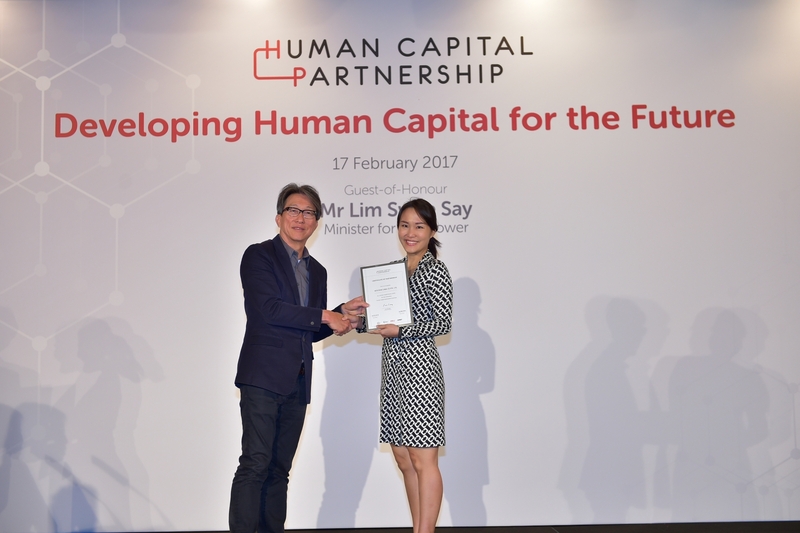 Keystone Cable has been awarded the Human Capital Partnership (HCP) mark in recognition of our efforts to develop our people. 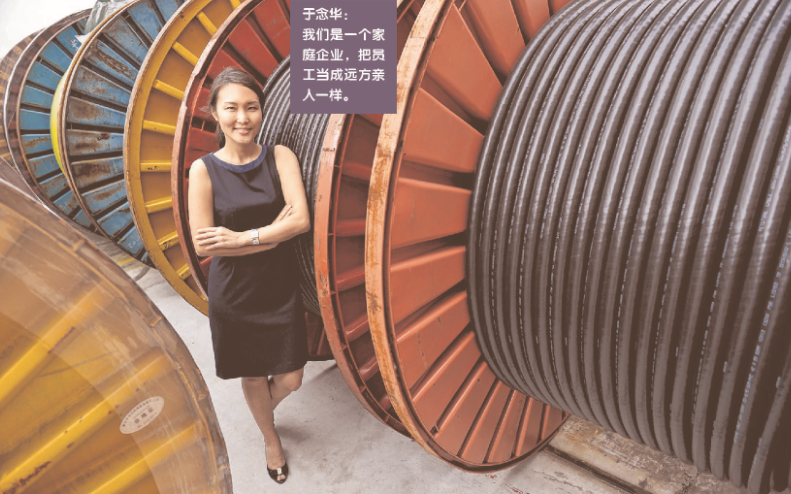 Keystone Cable has been featured in Spring Singapore’s Human Capital booklet as one of the local enterprises committed to growing and developing our human capital. 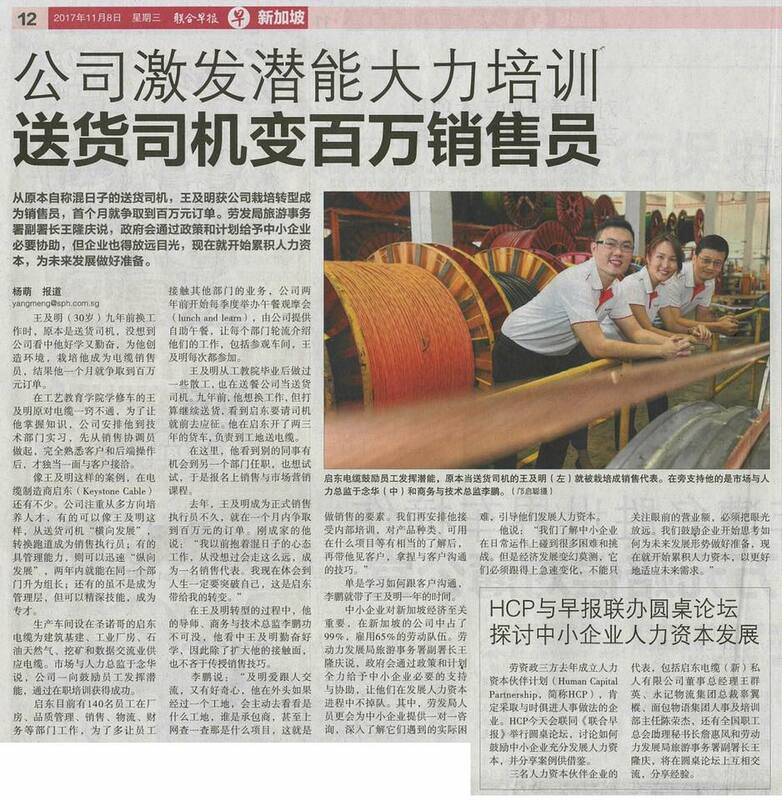 Although this is only their first job after graduating from polytechnic, both Chan and Tan say their opinions are always heard and valued. Read more about their experiences in the Quality Control and Marketing departments respectively.